Durham, North Carolina is a Triangle City of almost 300,000 people. Its working class beginnings are connected to a history of manufacturing and tobacco. Newly rehabbed historical buildings, houses, offices, restaurants, malls, and residential spaces make up the historical and tobacco districts in Downtown. Durham is a lively city with ongoing residential and mixed use projects, business headquarters, restaurants, hotels, and more. It has an exceptionally walkable downtown. Park your car and try out a ballgame at the Durham Bulls Stadium, hear a concert, enjoy a meal without ever returning to your car. The Durham Hotel is a mid-century modern, boutique hotel in the heart of downtown. You will find many fine dining restaurants, where great chefs from around the country have migrated to. 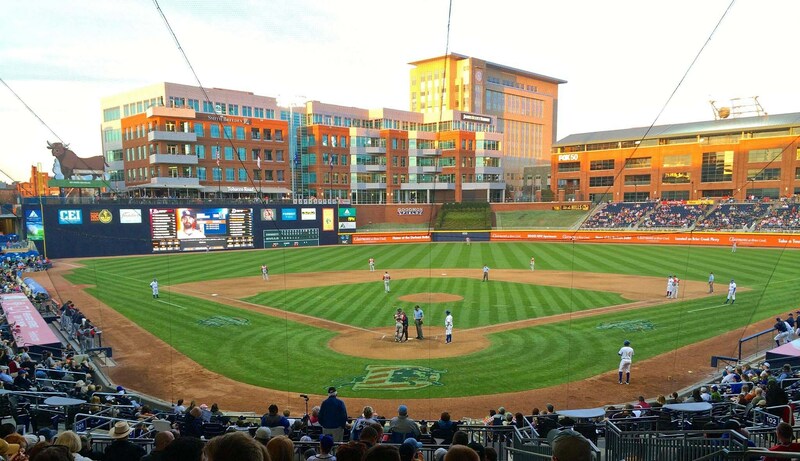 If you are a sports fan, Durham will not disappoint as it is home to championship teams like the Durham Bulls Baseball Club, the Duke University Blue Devils, the North Carolina Central University Eagles, and the Carolina Phoenix. Not too far from downtown, you will find a relatively new mall: Southpoint Mall, which includes modern retail with the classic anchor stores, restaurants, and more. The median priced home in Durham is $223,400.